We asked triathlete and Master of Human Nutrition Kaisa Sali for tips on what to eat on race day. Here’s her top race day nutrition tips. Eating the right foods before a running event and fueling right during your race is one of the key elements in ensuring that all the hard training you’ve done will pay off. Nutrition is important whether you’re running 5K, 10K or a full marathon. But remember: the longer the race is, the bigger the role of nutrition will be. 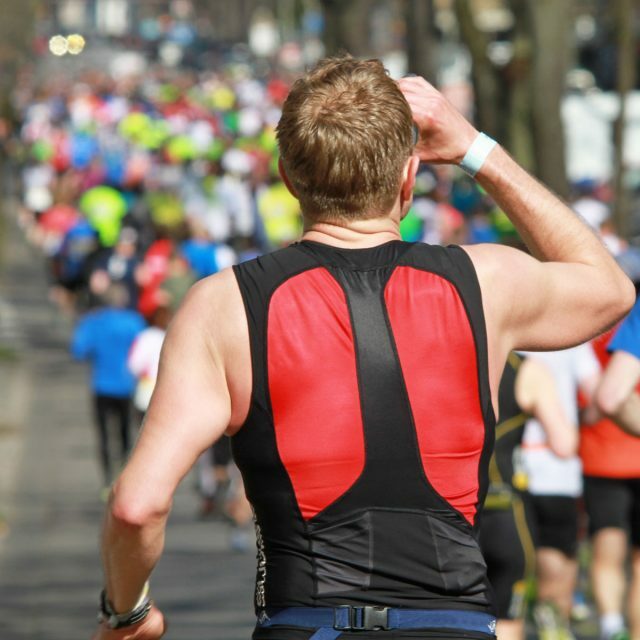 A proper plan on what to eat on race day can give a big boost to your performance. Carbohydrates are stored in the liver and the muscles. These glycogen stores are the body’s most easily accessible form of energy. During long endurance events, the body does use fat as an energy source but it’s not as efficient as using carbs. So, when you use up your glycogen stores, you will ”hit the wall” and your performance will decrease. To ensure that your glycogen stores are as full as possible when you start the event, you can try carbo-loading. It means that you’ll eat more carbs than normally for one or two days. The recommendation is to eat 8–12 g carbs/kg/day (3.5–5.5 g per pound of bodyweight per day). So, if you weigh 70 kilos (154 pounds) you should eat 560–840 grams of carbohydrates per day during carbo-loading. When you use up your glycogen stores, you will ”hit the wall” and your performance will decrease. However, note that the right amount depends much on how active you are. 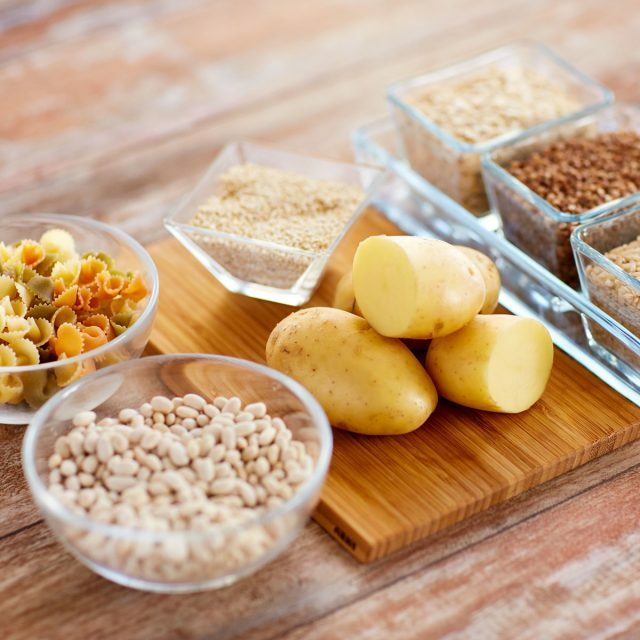 You can get the extra carbs from normal food or from carb-loading products. It’s wise to do the loading a few days before the race. Eat as you would normally on the last day before the event. Don’t go overboard and throw together a last-minute carbohydrate bonanza because you don’t want extra waste in your digestive system when you start the run. On race day it’s good to eat the last meal three to four hours before the start. No meal is more important than this. Having it right will ensure you are ready to do your best but having the wrong foods or eating the meal at wrong time may ruin your race. No meal is more important than the pre-race meal. The purpose of this meal is to fill up your liver glycogen after an overnight fast and to keep up your blood sugar level. This is why the meal should consist mostly of carbs. However, a small amount of protein will be good to stabilize the blood sugar and to minimize the muscle breakdown. A small amount of fat will optimize your fat burning capacity and make you feel like you’ve had enough food. Choose easy-to-digest foods that you’re familiar with. You should avoid extra dietary fibre so feel free to choose white bread instead of dark and to drink juice instead of eating fruits. 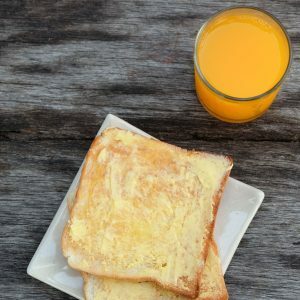 Typical pre-race meal foods include white bread and honey, eggs, oatmeal or low-fibre cereals, bananas, yoghurt and juice. Remember to drink if you feel thirsty or even a little bit more than usual. If the day is hot, add a little salt to your meal. Try different foods before your training runs. When you have found your favorite combo, stick with it. Eat similarly before your hard runs and before the race. On the last hours before the race, remember to drink but don’t overdo it. Even if it’s hot, don’t try to drink too much as it will only mean more trips to the toilet. Drink water and/or sports drinks, as you like. If your race takes more than one hour, you’ll need to drink during it. The right amount of fluid is very personal and it also depends on the weather but it’s good to aim for drinking 1–2 dl every 15–20 minutes. This usually means you should drink at every aid station. If your race takes more than one hour, you’ll need to drink during it. Start the drinking right from the beginning of the race. If you get even a little dehydrated, it’s harder to get your fluid balance back. At least half of the drinks you have should include salts (e.g. sports drinks) to avoid hyponatremia. When you run a marathon or a half-marathon, you should also eat carbs during the race. Even a small amount will boost your endurance by giving fuel to your body as well as by picking up your nervous system. You should aim to eat 30–90 g of carbs every hour, depending on your bodyweight. If the race is long, aim for the higher end. Again, try different amounts on your training runs to see what feels best. You can get the carbs from energy gels and/or sports drinks. Solid foods are usually not a good option, so go for the bananas and sports bars only if you feel really exhausted and hungry. If you’re looking for that one simple trick that gives your performance an extra kick, look no further than your coffee maker. Caffeine decreases the perceived level of effort for most people. But don’t go overboard with caffeine, especially if you don’t usually drink caffeinated drinks. Studies suggest that there is no additional advantage of having more than about 5 mg/kg (2.3 mg per pound of bodyweight) of it, which for a 70-kg (154-pound) person would mean 350 mg.
On race morning, you could have two cups of coffee (75–150 mg/cup, depending on the brew) and a few energy gels with caffeine in them just before and during the race. Remember to try it before race day. The food you like the most – it’s time to celebrate! What are macros, what do they do and should you be counting them? Here’s what you need to know about macronutrients and macro-counting.